Amazon Kinesis is a managed service designed to handle real-time streaming of big data. It can accept any amount of data, from any number of sources, scaling up and down as needed (see my introductory post for more information on Kinesis). Developers can use the Kinesis Client Library (KCL) to simplify the implementation of apps that consume and process streamed data. Today we are making the capture of streaming data with Kinesis even easier, with a powerful new Kinesis Producer Library, a big step up in the maximum record size, and a price reduction that makes capture of small-sized records even more cost-effective. A Kinesis record is simply a blob of data, also known as the payload. Kinesis does not look inside the data; it simply accepts the record (via PutRecord or PutRecords) from a producer and puts it into a stream. We launched Kinesis with support records that could be as large as 50 KB. With today’s update we are raising this limit by a factor of 20; individual records can now be as large as 1 MB. This gives you a lot more flexibility and opens the door to some interesting new ways to use Kinesis. For example, you can now send larger log files, semi-structured documents, email messages, and other data types without having to split them in to small chunks. Up until now, pricing for Put operations was based on the number of records, with a charge of $0.028 for every million records. Going forward, pricing for Put operations will be based on the size of the payload, as expressed in “payload units” of 25 KB. The charge will be $0.014 per million units. In other words, Putting small records (25 KB or less) now costs half as much as it did before. The vast majority of our customers use Kinesis in this way today and they’ll benefit from the price reduction. For more information, take a look at the Kinesis Pricing page. I’ve saved the biggest news for last! You can use Kinesis to handle the data streaming needs of many different types of applications including websites (clickstream data), ad servers (publisher data), mobile apps (customer engagement data), and so forth. In order to achieve high throughput, you should combine multiple records into a single call to PutRecords. You should also consider aggregating multiple user records into a single Kinesis record, and then de-aggregating them immediately prior to consumption. Finally, you will need code to detect and retry failed calls. The new Kinesis Producer Library (KPL) will help you with all of the tasks that I identified above. It will allow you to write to one or more Kinesis streams with automatic and configurable retry logic; collect multiple records and write them in batch fashion using PutRecords; aggregate user records to increase payload size and throughput, and submit Amazon CloudWatch metrics (including throughput and error rates) on your behalf. The KPL plays well with the Kinesis Client Library (KCL). The KCL takes care of many of the more complex tasks associated with consuming and processing streaming data in a distributed fashion, including load balancing across multiple instances, responding to instance failures, checkpointing processed records, and reacting to chances in sharding. When the KCL receives an aggregated record with multiple KPL user records inside, it will automatically de-aggregate the records before making them available to the client application (you will need to upgrade to the newest version of the KCL in order to take advantage of this feature). The core of the KPL takes the form of a C++ module; wrappers in other languages will be available soon. KPL runs on Linux and OSX. Self-contained binaries are available for the Amazon Linux AMI, Ubuntu, RHEL, OSX, and OSX Server. Source code and unit tests are also available (note that the KCL and the KPL are made available in separate packages). For more information, read about Developing Producers with KPL. Amazon Cognito makes it easy for you to save user data such as app preferences in the AWS Cloud without writing any backend logic or managing any infrastructure. You can focus on creating a great app instead of worrying about creating server-side code to handle identity management, network state, storage, and sync. Today we are giving you the ability to receive events (in the form of a Amazon Kinesis stream) when data managed by Cognito is updated or synchronized. You can use this stream to monitor user and app activity in real time. You can also route the event information to Amazon Redshift and analyze it using SQL queries or a wide selection of Business Intelligence (BI) tools. To learn more about this feature, take a look at Announcing Amazon Cognito Streams on the AWS Mobile Development Blog. 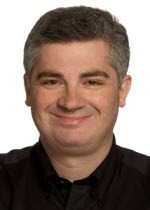 Amazon Kinesis is at home in situations where data arrives in a continuous stream. It is real-time and elastic and you can use it to reliably deliver any amount of data to your mission-critical applications. Today we are making an important change to Kinesis. You can now retrieve records (data) immediately after a successful PutRecord or PutRecords call. Until now, records would become accessible to GetRecords after a propagation delay that was typically between two and four seconds. You don’t need to make any changes to your application in order to benefit from this improvement (if you are using the KCL (Kinesis Client Library) you may want to configure it to poll more frequently in order to further reduce latency). I believe that this improvement will make Kinesis an even better fit for many use cases. For example, some AWS customers use Kinesis as an integral part of their data ingestion and processing workflow. In this model, Kinesis functions as a high-performance elastic buffer between each processing step. Prior to today’s launch, the propagation delays present at each step could significantly increase the time that it takes to process raw data into actionable results. Now that the delays are a thing of the past, applications of this type can digest and process data faster than ever! If you are using the Kinesis Client Library (KCL) the default polling interval is set to one poll per second. This is in accord with our recommended polling rate of one poll per shard per second per application and allows multiple applications to concurrently process a single stream without hitting the Kinesis limit of 5 calls to GetRecord per second per shard. Going beyond this limit will invoke the SDK’s exponential back-off logic and the perceived propagation delay will increase. To reduce the propagation delay your consuming applications observe, you can change the default polling interval to a value between 200 and 250 milliseconds. Read the documentation on Kinesis Low Latency Processing to learn more about the configuration options and settings. This feature is available now. If you are already running Kinesis applications you are already benefiting from it! My colleague Adi Krishnan wrote the following guest post to tell you about the newest addition to the Amazon Kinesis API. Amazon Kinesis is a fully managed service for real-time processing of streaming data at massive scale. Customers love the fact that they can put any amount of data in to a Kinesis stream and then use it to power real-time dashboards and generate alerts, or route it to big data services such as S3 and Amazon Redshift. Today, the Amazon Kinesis team is excited to release a new API function, PutRecords, so that you can put data into your Kinesis stream with greater efficiency and less complexity. You can use the new PutRecords function to send up to 500 records to your Kinesis stream in a single HTTP call. Each record in the call can be as large as 50 KB, up to a limit of 4.5 MB for the entire request. Since we launched last November, customers have used Amazon Kinesis to put data from many different sources, commonly called producers. A producer could be an application server running on EC2, a web browser, or a mobile application. The common theme across these producers is that developers want to get data off of them and into their Kinesis stream as quickly and efficiently as possible. 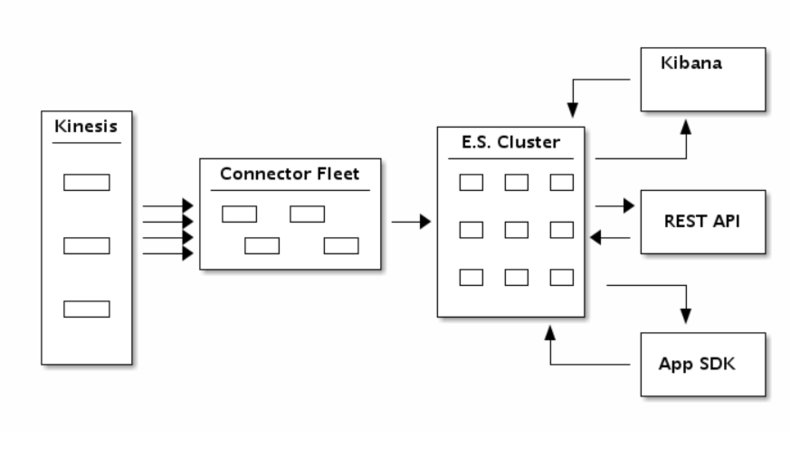 You can use PutRecords to easily build high-throughput producers that run on EC2 instances. Many customers use multi-threading or local batching to improve the throughput of these producers. PutRecords reduces this complexity by improving the amount of throughput that you can achieve by using a single HTTP call. For mobile applications, you can use PutRecords to make your application more robust in the face of intermittent network connections and limited battery life. PutRecords reduces the overhead associated with multiple HTTP calls, allowing you to send up to 5 MB of usage and application logs in a single call. You can learn more about the new operation in the Kinesis Developer Guide and the Kinesis API Reference. 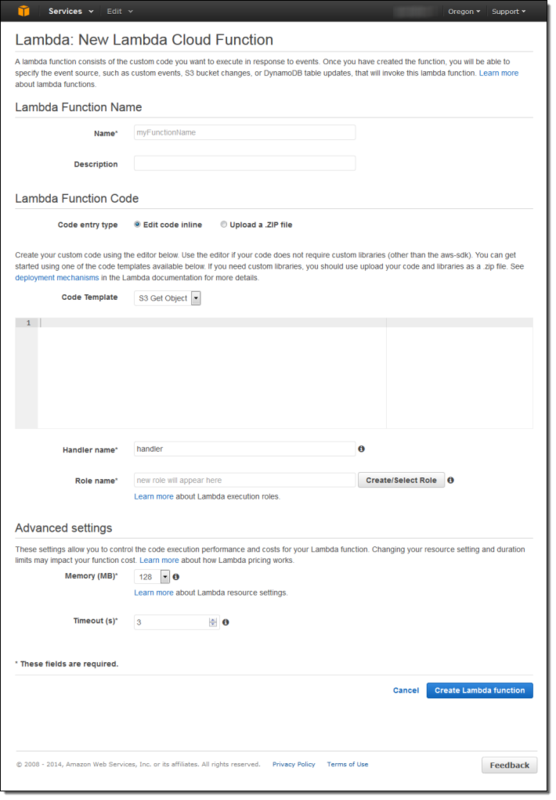 We recommend starting out by using one of the AWS SDKs that support the new feature. My colleague Rahul Patil sent me a nice guest post. In the post Rahul shows you how to use the new Kinesis Client Library (KCL) for Python developers. 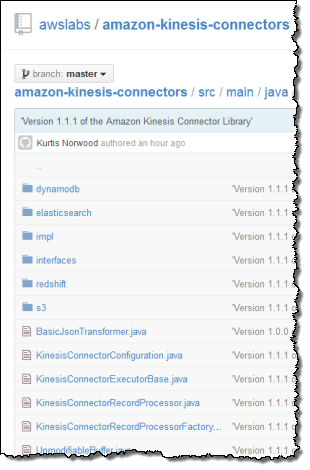 The Amazon Kinesis team is excited to release the Kinesis Client Library (KCL) for Python developers! Developers can use the KCL to build distributed applications that process streaming data reliably at scale. The KCL takes care of many of the complex tasks associated with distributed computing, such as load-balancing across multiple instances, responding to instance failures, checkpointing processed records, and reacting to changes in stream volume. You can download the KCL for Python using Github, or PyPi. Set up application configuration parameters. # The name of an Amazon Kinesis stream to process. The above example configures KCL to process a Kinesis stream called “words” using the record processor supplied in sample_kclpy_app.py. The unique application name is used to coordinate amongst workers running on multiple instances. initialize() and shutdown() are self-explanatory; they are called once in the lifecycle of the record processor to initialize and clean up the record processor respectively. If the shutdown reason is TERMINATE (because the shard has ended due to split/merge operations), then you must also take care to checkpoint all of the processed records. You implement the record processing logic inside the process_records() method. The code should loop through the batch of records and checkpoint at the end of the call. The KCL assumes that all of the records have been processed. In the event the worker fails, the checkpointing information is used by KCL to restart the processing of the shard at the last checkpointed record. The KCL connects to the stream, enumerates shards, and instantiates a record processor for each shard. It pulls data records from the stream and pushes them into the corresponding record processor. The record processor is also responsible for checkpointing processed records. Since each record processor is associated with a unique shard, multiple record processors can run in parallel. To take advantage of multiple CPUs on the machine, each Python record processor runs in a separate process. If you run the same KCL application on multiple machines, the record processors will be load-balanced across these machines. This way, KCL enables you to seamlessly change machine types or alter the size of the fleet. The release also comes with a sample word counting application. Navigate to the amazon_kclpy directory and install the package. Before running the samples, you’ll want to make sure that your environment is configured to allow the samples to use your AWS credentials via the default AWS Credentials Provider Chain. KCL for Python uses KCL for Java. 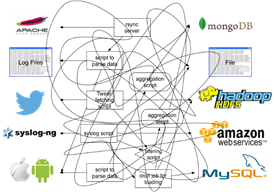 We have implemented a Java based daemon, called MultiLangDaemon that does all the heavy lifting. Our approach has the daemon spawn a sub-process, which in turn runs the record processor, which can be written in any language. The MultiLangDaemon process and the record processor sub-process communicate with each other over STDIN and STDOUT using a defined protocol. There will be a one to one correspondence amongst record processors, child processes, and shards. For Python developers specifically, we have abstracted these implementation details away and expose an interface that enables you to focus on writing record processing logic in Python. This approach enables KCL to be language agnostic, while providing identical features and similar parallel processing model across all languages. My colleague Rahul Patil wrote a guest post to show you how to build an application that loads streaming data from Kinesis into an Elasticsearch cluster in real-time. The Amazon Kinesis team is excited to release the Kinesis connector to Elasticsearch! Using the connector, developers can easily write an application that loads streaming data from Kinesis into an Elasticsearch cluster in real-time and reliably at scale. Elasticsearch is an open-source search and analytics engine. 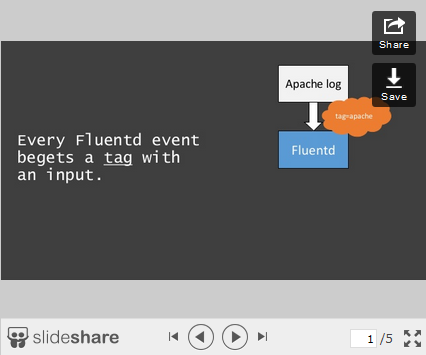 It indexes structured and unstructured data in real-time. Kibana is Elasticsearch’s data visualization engine; it is used by dev-ops and business analysts to setup interactive dashboards. Data in an Elasticsearch cluster can also be accessed programmatically using RESTful API or application SDKs. You can use the CloudFormation template in our sample to quickly create an Elasticsearch cluster on Amazon Elastic Compute Cloud (EC2), fully managed by Auto Scaling. Using the new Kinesis Connector to Elasticsearch, you author an application to consume data from Kinesis Stream and index the data into an Elasticsearch cluster. You can transform, filter, and buffer records before emitting them to Elasticsearch. You can also finely tune Elasticsearch specific indexing operations to add fields like time to live, version number, type, and id on a per record basis. The flow of records is as illustrated in the diagram below. Note that you can also run the entire connector pipeline from within your Elasticsearch cluster using River. Create and configure a KinesisConnectorPipeline with a Transformer, a Filter, a Buffer, and an Emitter. Create a KinesisConnectorExecutor that runs the pipeline continuously. All the above components come with a default implementation, which can easily be replaced with your custom logic. Configure the connector to bulk load data into Elasticsearch only after you’ve collect at least 1000 records. Use the local Elasticsearch cluster endpoint for testing. In order to wire the Transformer, Filter, Buffer, and Emitter, your code must implement the IKinesisConnectorPipeline interface. From here, make sure your AWS Credentials are provided correctly. Setup the project dependencies using ant setup. To run the app, use ant run and watch it go! All of the code is on GitHub, so you can get started immediately. Please post your questions and suggestions on the Kinesis Forum. 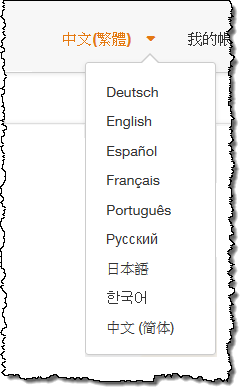 When we launched Kinesis in November of 2013, we also introduced the Kinesis Client Library. 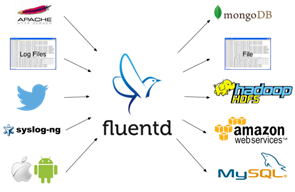 You can use the client library to build applications that process streaming data. It will handle complex issues such as load-balancing of streaming data, coordination of distributed services, while adapting to changes in stream volume, all in a fault-tolerant manner. We know that many developers want to consume and process incoming streams using a variety of other AWS and non-AWS services. In order to meet this need, we released the Kinesis Connector Library late last year with support for Amazon DynamoDB, Amazon Redshift, and Amazon Simple Storage Service (S3). We then followed up that with a Kinesis Storm Spout and Amazon EMR connector earlier this year. Today we are expanding the Kinesis Connector Library with support for Elasticsearch. Amazon Kinesis is a real-time service for processing streaming data at massive scale. You can process Kinesis data in a variety of ways, including the Kinesis Client Library, Apache Storm, or Elastic Map Reduce. Mobile gaming companies like Supercell ( AWS Case Study) and analytics companies like Snowplow Analytics ( AWS Case Study) accelerate their data analysis and decision making with Kinesis. 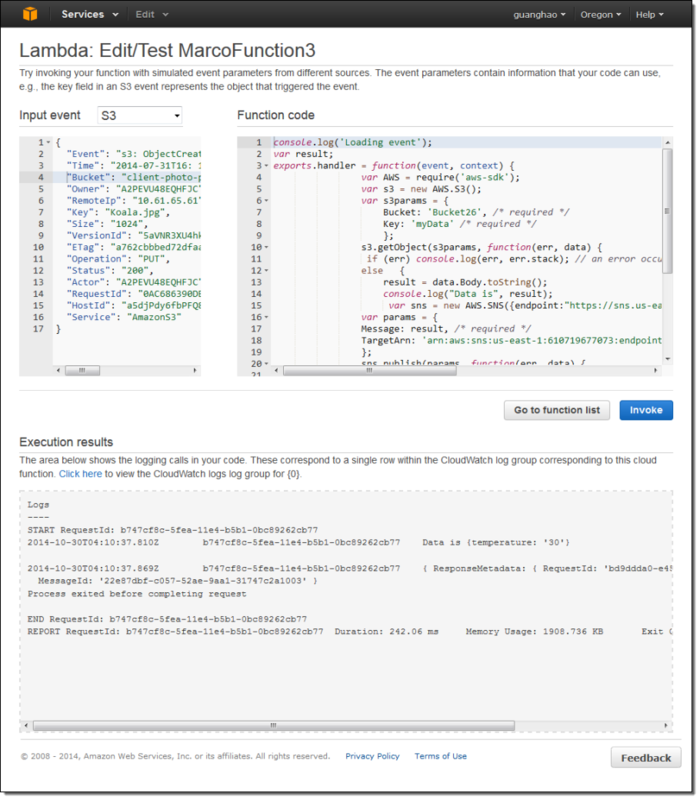 We recently announced that AWS CloudTrail provides support for logging of API calls made to Kinesis. US West (Oregon) – New! To learn more about Kinesis, start with the Developer Guide. This document describes scenarios where Kinesis can be used and outlines some of the benefits of doing so. It also introduces the all-important Kinesis Client Library and shows you how to use it to build an app.